Primates as Pets: Right or Wrong? You are here: Home / Wildlife & Conservation / Primates as Pets: Right or Wrong? Recently a private primate owner decided to post on one of the lists I belong to. The request was for someone to write on the positive aspects of primate ownership. Most of us involved in professional work with animals don’t think so. So although there might be exceptions to the rule–most of us don’t think there are many. Anyway, I pondered the issue of how an article would be a disservice to any primate species because those who support private ownership would use it to market the idea that primates are good pets. Most of you already know that I don’t support the ownership of wild animal pets. People have trouble enough managing their dogs and cats! Then it happened. Someone posted a pretty rational reply but the private owner came back swinging. There are always positive and negative examples of animal management at any place housing animals. It doesn’t matter whether or not it is a zoological facility, private sanctuary, animal rescue organization, or a private home. A wild animal is not a pet for humans, and whether or not you can successfully make it into your pet is irrelevant, you should not try. Enough said…but leave your thoughts below. I spent 1900 hrs volenteer work with chimps at local theam park. 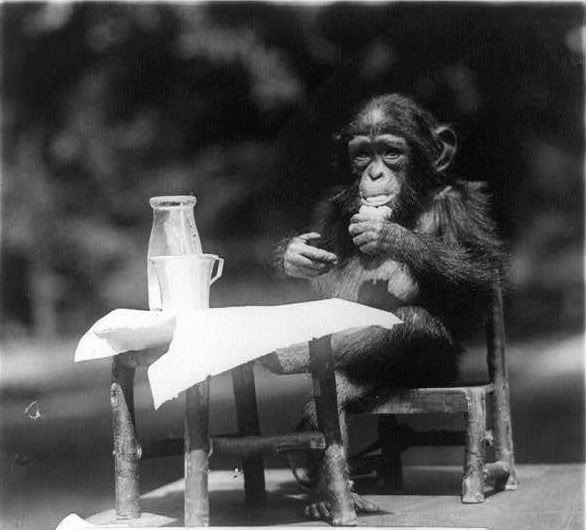 I still want a chimp, but…I want to raise it from birth. There r a lot of leagle requirements to have one. If you have that many hours volunteering I am surprised that you still have the same viewpoint and want a baby chimp. There once were not many regulations in relation to rearing and maintaining wild animals. During my early career I saw a lot of aberrant behavior and poor conditions that harmed wild animals in private homes. Today, thankfully, those regulations and the high price of obtaining and maintaining primates keep a lot of people from getting them. I’d be interested in knowing why you still want a chimp and just how you would house and maintain a primate in humane conditions. 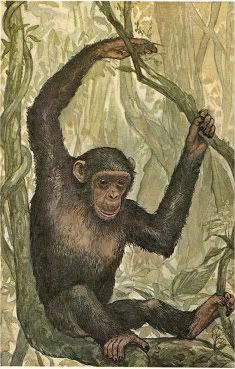 We have all been lead to believe that chimpanzees, although from the wild, can be domesticated. We were fed these falsehoods primarily through television shows and ads as well as from various animal acts we have all seen. However, once we hear and see reports of how these animals mature, how strong and clever they are one would think we would catch on and understand. Especially once we see the results of the horrific damage they can cause to an adult human being. (St. James Davis and Charla Nash are the sad and tragic results of private chimpanzee ownership.) These animals should be given dignity and respect and left in the wild where they belong. Anyone who is well informed and still wants one as a pet is either deluded, selfish or mad. Possibly all three. Thank you for getting the word out on this hazard to those who may be living under a rock. Hi Leah, thanks for commenting. Yes, it is often shocking to me when people view chimpanzees are innocuous beings. I first worked with them in my teens and so am always amazed how naive people are about them. All wild animals are spectacular but they are also creatures with intense strength and habits people are unfamiliar with. I think part of the fascination these days is because people are so removed from what animals really are–and isolation from nature is another problem. Hope to see you at the blog again soon!